Circular pub walk from Saunderton Station in the Chiltern Hills with woodland and meadows and short cut options if required. This is just one of several pubs on the route. Click on Country Walks near London (Vol 2) to read more about the pub walks featured in this excellent book and why it is so popular. Be the first to share your experiences. Thanks! Circular pub walk from Tring Station that starts by following the Ridgeway before dropping into National Trust woodland. This is just one of several pubs on the route. Linear pub walk from Chesham Station to Great Missenden Station passing through fields, woods and hamlets with short cut options if required. This is just one of several pubs on the route. 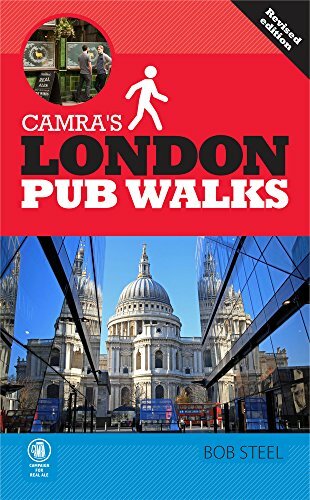 EXCELLENT BOOK - SOME GREAT PUB WALKS HERE! Features 30 walks within easy reach of London that take you through glorious countryside. All on scenic footpaths with a minimum of road walking. We show you the pubs and walks on offer before you buy the book. Linear walk from Kintbury Station to Bedwyn Station offering woods, pastures and dramatic views from a long ridge. Finish at the pretty village of Great Bedwyn with short cut options if required. This is just one of several pubs on the route. Click on Country Walks near London (Vol 2) to read more about all the pub walks featured in this excellent book before you decide whether to buy it. Circular pub walk from Henley Station with some charming views. It takes you up one side and down the other of the long valley leading to Stonor but there are some short cuts if needed. This is just one of several pubs on the route. Circular pub walk from Henley Station starting along the river bank and then onto pasture and woodlands. Shortcuts possible if desired. This is just one of several pubs on the route. Circular pub walk from Marlow Station takes you through quaint riverside villages and pleasant meadows and has short cut options if required. This is just one of several pubs on the route.